Trophies and Awards Shop in Conyers, GA | ABC Awards, Inc. Since 1975, ABC Awards Inc. has been the premier family owned and operated, full service awards and engraving shop serving Conyers, GA and the surrounding areas. We specialize in trophies, medals, plaques, medallions, award ribbons, interior signage and much more. 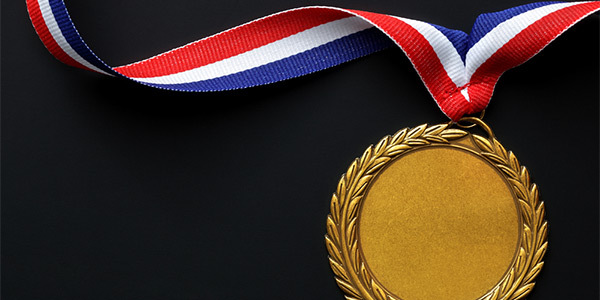 An award can mean many different things for different people: it can symbolize a great achievement, serve as a token of appreciation or represent a fond memory. Whatever giving and receiving awards might mean to you, ABC Awards Inc. is here to provide you with high quality medals, plaques, trophies and other awards in Conyers, GA. We work with both corporate and private clients, as well as agricultural groups, 4-H and schools. Our team is proud to offer only the highest quality products, most of which are made right here in-house. We are a proud local, family-owned and operated small business in Conyers, GA.
With over 40 years in the industry, we are the most experienced award shop around. We also offer comprehensive engraving services. We can work with corporate clients, schools, agricultural groups and more. Providing top of the line awards and gifts to Conyers, GA and Covington, GA and the surrounding areas.